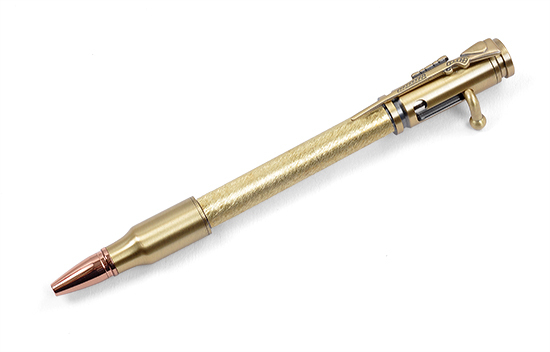 .30 Caliber Bolt Action - Antique Brass Pen Kit. Uses bushings PEN8BU. Download instructions for this kit by clicking here.